Bellator returns this Friday night, for another night of cage action for MMA fans. 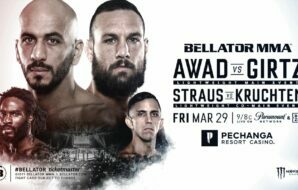 Bellator 218 comes from the WinStar World Casino and Resort in Thackerville, OK on Friday 22nd March, containing some fights that will be sure to please everybody. Officially dubbed Sanchez vs Karakhanyan 2, the event will see a featherweight rematch headline the event. It also sees British fighter Linton Vassell step up to Heavyweight to face Russian Valentin Moldovsky. Georgi Karakhanyan (27-8-1) makes his return to the Bellator cage, having spent his last two fights in Russian Promotion ACB, which was met with mixed results. The Moscow born fighter last stepped into the cage in November against Timir Nagibin, in what he thought was a DQ win, after he complained that Nagibin had struck him after the bell. This was however turned over by the promotion and turned into a No Contest. 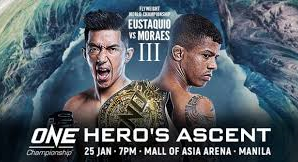 His first fight in ACB saw a Unanimous Decision win over Alexey Polpundnikov, having lost his fight last time out for Bellator against Henry Corrales back in January 2018. His opponent Emmanuel Sanchez (17-4) will look to put his last visit to the cage behind him. 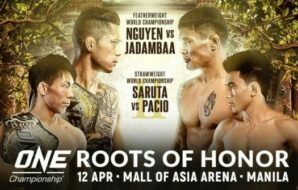 A loss to Patricio Pitbull by Unanimous decision halted a four-win streak, which included his opponent for Friday Karakhanyan. 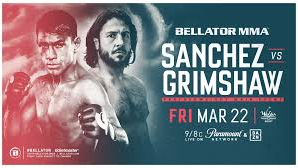 Sanchez was supposed to fight Ashley Grimshaw last year, however, that bout was cancelled due to an injury for Grimshaw, and no replacement was found. 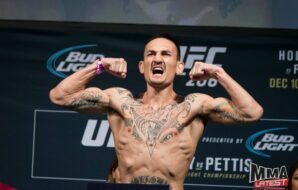 Sanchez has taken the majority of his wins to the judge’s decision and has shown that he has the stamina and game plan to take the fight the distance, whereas his opponent has a majority of wins by finish. The Co-main event sees Valentin Moldavsky (7-1) step into a fight under the Bellator banner for the third time, having won his last two previous fights against Ernest James (R2 victory) and Carl Seumanutafa (decision win). The Ukrainian fighter spent the majority of his professional career in RIZIN, but lost his last fight for the promotion by split decision versus Amir Aliakbari, before making the move to the American promotion. His opponent Linton Vassell (18-7) will be making the move unto Heavyweight for this bout. 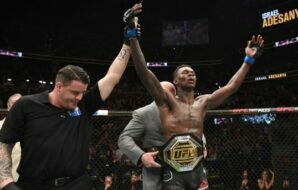 The British fighter will be looking to get back to winning ways, after losing his last two to Phil Davis and Ryan Bader, both by finish in rounds three and two respectively. 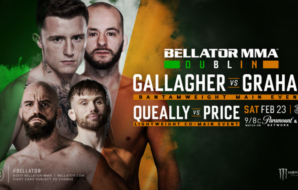 A six-year Bellator veteran hasn’t won in the promotion since he beat fellow Brit Liam McGeary by Arm Triangle in May 2017 at Bellator 179. 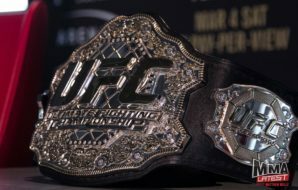 The first two fights on the main card are both in the middleweight division, as Anatoly Tokov (27-2) faces Gerald Lewis (25-7-1) and Norbert Novenyi Jr (2-0) faces Will Lavine (1-1). This will be Tokov’s fourth fight for Bellator having won his previous three. In his last fight, he beat fellow Russian and over 60 fight veteran Alexander Schlemenko by unanimous decision back in October last year. His opponent Lewis likewise will be having his fourth Bellator fight, but unlike Tokov hasn’t won for the promotion, having drawn his last fight against Hracho Darpinyan, and suffered defeats to Yaroslav Amosov and Rafael Lovato Jr. 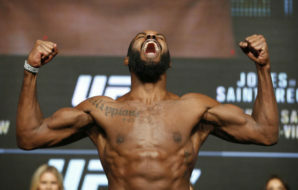 The former Ultimate Fighter contestant (Rampage vs Griffin 2008) does hold three wins in the UFC and has won 9 of his last 12 fights since leaving the promotion in 2010. The first fight of the main card sees relative newcomers Novenyi face Lavine. 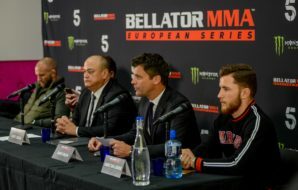 Hungarian born Novenyi, who fights out of London Shootfighters, has won both of his professional fights by Rear Naked Choke in the first round, including his Bellator debut against Mehmet Yeuksel. 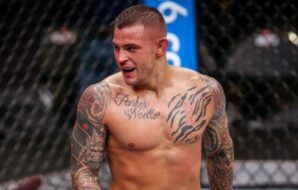 His opponent, American Lavine, has not fought since June 2017, which was first-round win versus Zach Maguire at Organised Chaos 12. However, he did lose his professional MMA debut to Dominic Garcia, which was at Bellator 171. Valentin Moldavsky (7-1) vs Linton Vassell (18-7). Norbert Novenyi JR (2-0) vs Will Lavine (1-1).